Is it enough to be inspired by going “back to the future” to achieve high-impact innovation? Looking at that scene you can see a classic example of high-impact innovation: innovation with a high impact for customers (the ability to make a good pizza in seconds without the need for any particular culinary skills) together with a high impact for the company that created it. It seems normal to prepare food using a “hydrator”, and that every home has one in that distant future. That film was made in 1989 and the far-fetched future it predicted was 2015. By a strange coincidence, in 2015 a well-known Italian company launched something that reminded many people of the famous “hydrator”. That was Barilla with their proposed CucinaBarilla. This is a particular type of microwave oven (which could also function as a convection oven) able to autonomously prepare special Barilla kits. Simply select the kit, pour the ingredients into the device, scan the label on the kit and wait for the oven to cook it – autonomously. The CucinaBarilla is able to make bread, pizza, pasta, risotto, soups and even cakes (here is the CucinaBarilla in action). However, to date, CucinaBarilla has not had the same success as the “hydrator”. No sales data has been published, but various analysts believe that the product has not met expectations. Towards the end of 2016 Barilla attempted to revitalise the CucinaBarilla project by changing this formula and making it available on subscription. 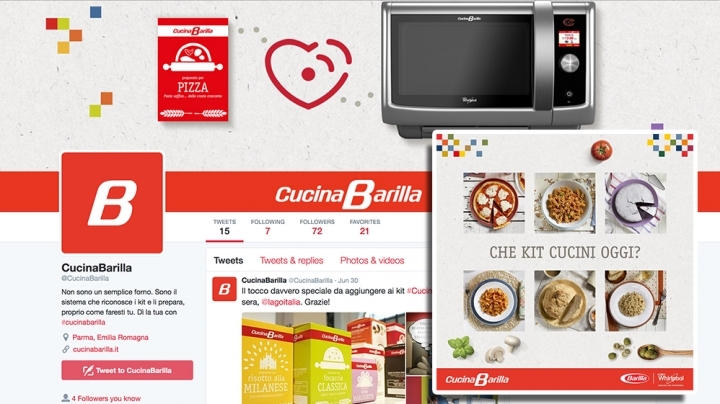 As stated by Matteo Gori, the Managing Director of CucinaBarilla, “for a few months now the CucinaBarilla service has also been available on subscription, a genuine innovation that has looked at the trend in movies and music, from Netflix to Spotify (“We were the first in the world to use RFID on food labelling. And the first to launch a subscription service”). A formula popular with Millennials. The ready to use sector is a market trend (35% of consumers would like someone to cook for them at home, according to research by Doxa) in a changing food landscape: automation, digitisation (smart kitchens will represent a $10 billion market by 2020), nutrition, customisation (3D printers)”. 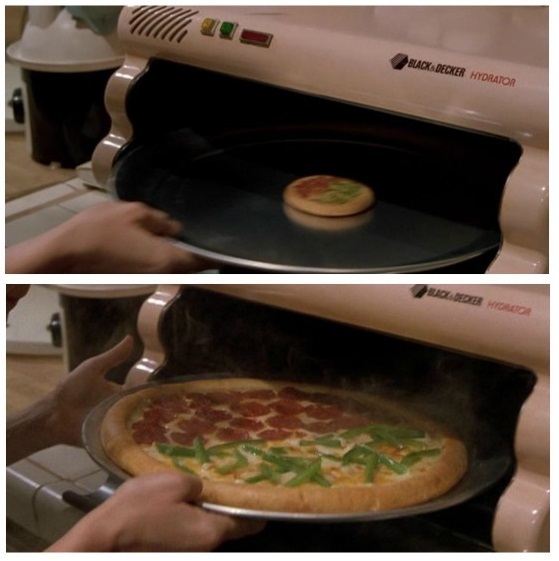 With this new formula customers, in addition to the monthly subscription which includes 9 kits in its base package, can use the oven on a loan for use basis. To date, Barilla seems to have been vindicated by this change. It’s interesting to note that one of the sources that the company mentioned inspiration was Netflix, which in some ways had a similar start to the CucinaBarilla. Born in 1997, the brainchild of Reed Hastings, Netflix was set up as a DVD/VHS/video game by mail rental service. From the company’s website, customers could choose from the titles available and comfortably wait for the product to be delivered to their homes. The cost was around $6, shipping included. However, the results were by no means satisfactory. It was at that point that the company decided to change path. It decided to no longer rent individual movies in the style of Blockbuster, but an unlimited monthly subscription service. The client was able to choose 3 movies, have them delivered to their home, return them and then receive more, often in the same month. This new formula put Netflix on the road to success. 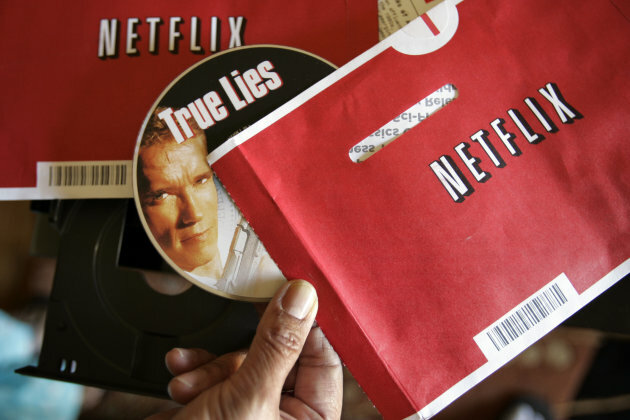 In 2005 Netflix sent a million DVDs per day; by 2009 it had a catalogue of 100,000 DVD titles and had exceeded 10 million subscribers. Today, Netflix broken the 100 million subscribers barrier. What ideas can we draw from these two cases? Is it enough to be inspired by going “back to the future” to achieve high-impact innovation? Or is the subscription model the universal solution to create repeat and profitable business? In reality, high-impact innovation is seldom the result of a single decision, but it is the the result of a wise blend of different ingredients. How to generate profits from my innovation? Who will pay for my innovation? Which differentiating processes will help me to realize my solution? Can I use external resources to amplify the impact of my innovation? These are some of the questions a company needs to answer when it wants to generate high-impact innovations. Barilla and Netflix are two examples of how the product may not be the focal point when creating high-impact innovations. The point is that for these two examples, the imagined profit model was, at least initially, not able to magnify the impact of the solution. Ford, and later Toyota, amplified the impact of their innovations through superior production processes (mass production and Lean production). Very often companies focus solely on the product, its features, its characteristic and its functions, without considering that the product can only become a high-impact innovation if it is expertly coherent and aligned with the business system underpinning it. How can you help your customer achieve their goals? What system of complementary products can I create to make my customers’ lives easier? How can I make my solutions easier to use? These are some of the questions to reflect on when you want to generate high impact innovations. Instead of starting from the product and what I can make in terms of a technological solution, it is crucial to understand the goal I want to help customers reach. Understanding this objective will critically bring into question the assumptions and hypotheses that have been “embedded” in the industry – and in business – which has encouraged launching products that are all alike. If the goal that I want the customer to achieve is to “be entertained on their commute” rather than to be “informed” does it make sense to invest in big names? Does it make sense to invest in providing news before others? Does it make sense to create long and complex content as traditional newspapers do? Wouldn’t it be more practical to create an easy-to-read newspaper? Which can be read in 15 minutes, made up of short articles in the way Metro has done so successfully. Product features are not valuable in themselves. They are valuable only if they allow customers to achieve a goal in a way that is better than the solutions currently available on the market. What sales channels can I use to convey my solution in order to maximise its impact? How can I position myself in terms of brand? Is it possible to engage customers to use my solution by creating positive habits? These are some of the key elements when you want to make high-impact innovations. CucinaBarilla, for example, opened two Pop-up Stores in the centre of Milan, which were open every day from 10 a.m. to 8 p.m. until 18 December 2016, where potential customers were able to taste the different Barilla Kit recipes and learn about the new subscription model. In a country characterised by a strong culinary culture, like Italy, a system that prepares microwave pasta has to be experienced. The sales channel is therefore an essential element which we can use to amplify the impact of the innovation. Apple has also focused a lot of attention in this direction to amplify the impact of its own innovations. Apple stores have been designed and planned to enhance the impact of Apple’s innovations. For example, there are no cashiers in an Apple store. There are experts, consultants, even geniuses, but no cashiers. Despite the importance of these elements many companies, especially well established ones, focus only on the product, thinking that existing business systems and customer experience systems are also suitable for new solutions. Unfortunately in many cases this is not true. The Barilla and Netflix cases make us think about what the most appropriate combination of the three systems would be in order to maximise the impact of an innovation. The product alone is not enough … and unfortunately going Back to the Future won’t be able to inspire you!